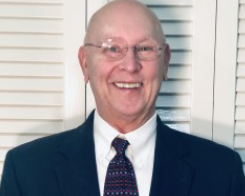 Jeff Kennedy, LUTCF, started out in the insurance business in 1971 and is still going strong 48 years later and has helped thousands of clients with their insurance needs over those years. Jeff was born and raised in Jasper, Alabama and graduated from Walker College and then attended the University of Alabama majoring in business and marketing. He is the Principal and manager of Kennedy Advisory Group, in Birmingham, Alabama for the last 19 years. He specializes in helping his clients plan for retirement and educating them about Long Term Care, Social Security, Medicare. He also holds educational seminars on Social Security, Living Trust, Medicare & Long term care at local Libraries thoughout the Birmingham Area. Jeff lives in Birmingham with his lovely wife Beth and they have 6 grown children, 8 Grandchildren + one in the oven, 2 dogs and a home in Pensacola, Florida where they go to sail and enjoy the beach.